All the trappings of city life are within arm?s reach in Busan: both high- and low-end shopping at Nampodong (Busan lays claim to the world?s largest department store, Shinsegae Centum City), K-pop concerts at Haeundae Beach, and Seomyeon Med- ical Street, a district comprising 160 cosmetic and medical clinics, where one can pop in for Botox and teeth whitening in one swoop. It even has its own BIFF ? the Busan International Film Festival. But in keeping with the values of nature-loving Koreans, Busan also provides ample oppor- tunity to escape the hustle and bustle and spend time among nature. There are plenty of places to make you forget you?re in South Korea?s second-largest city, and un- like landlocked Seoul, visitors to Busan can enjoy infinite ocean views from breathtaking cliffs, from beaches, from boats or, for the adventurous, as a dangling parasailer. In an amalgam of new and old, sleek, modern high-rise buildings are juxtaposed against ancient temples in a rugged, natural setting. Nurimaru House, where the 2005 APEC summit was held, is a prime example of modern Korean architecture. The domed building, whose nighttime-lit windows make it look something like a lantern perched over the sea, is located in Dongbaekseom Park, where pine, camellia and maple trees lead to inviting forested paths and hidden pagodas. An expansive view of Busan?s coastline can be found at Taejongdae Park, where on a clear day you can see the islands of Japan. 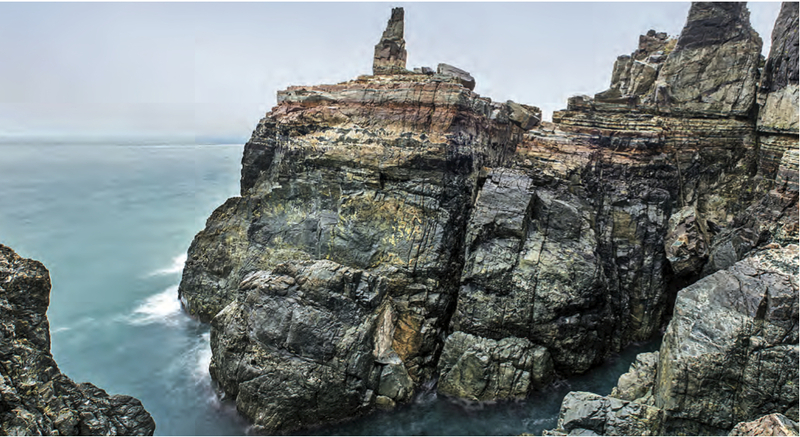 Follow the cliffside trails to the observatory or to the park?s towering white lighthouse, or just gaze over the edge at Sinseondae Rock, which is also known as ?Suicide Rock? for obvious reasons ? a few steps in the wrong direction could spell your end. For a park with a more mid-city feel head to Mt. Yongdusan. While hiking is immensely popular in Korea, Mt. Yongdusan has a thoughtfully placed escalator running through its steep middle section for the less physically fit among us. Ascend to the observation tower (120 metres tall), or ride the escalator to the bottom, where a short distance away, the women of Jalachi Fish Market tend stalls selling every imaginable manner of edible sea life, most of it alive and wriggling in buckets and bins. Order fish sliced up on the spot, where it will be plated along with rice and traditional Korean small-dish accompaniments such as seaweed salad and kim-chi, and tote it to a nearby dining area. Couple the meal with soju, Korea?s answer to sake, which makes a perfect counterpart to the spicier Korean dipping sauces. During the summer, stroll the boardwalk on Haeundae Beach and enjoy watersports or a therapeutic dip in the mineral hot springs. Or duck into a Korean spa in the city, such as the lovely Spaland. Spacious and bathed in natural light, this public bath features Roman and Finnish spas, yet remains quint- essentially Korean. Perhaps one of the best introductions to Busan is via a cruise ? lines such as Royal Caribbean International and Princess Cruises offer several itineraries with shore excursions that call on South Korea?s largest port.